NP Auto Group is proud to be the home of Pat the Trainer Bowie. Pat is a valued member of our team, and she is tasked with the very critical job of making sure that information and educational resources are available for our diverse group of franchised and corporate owned car rental locations. 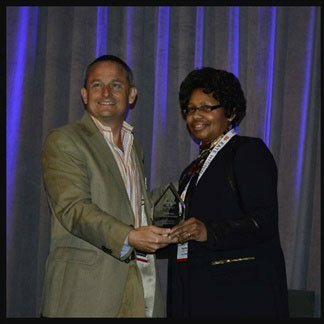 Pat was honored as the car rental industry’s Professional of the Year in 2017. Pat has been a member of the car rental industry who got her start in the industry veteran of Budget Rent-A-Car's training department. In 2004 Pat joined the IFS team and has grown her portfolio of responsibilities to include the employees of the company’s corporate owned locations as well as the director of training for new franchisees. Franchise owners of every franchise in the IFS brand family receive initial training that has been crafted to deliver the most relevant information in an efficient format. Pat is an adult learning specialist with multiple certifications, and she utilizes cutting edge techniques in her simulated rental counter at our training facility located in our headquarters. Ongoing training is facilitated in multiple ways. NP Auto Group has developed a proprietary online training system known as Rental Car University, which is made available to all franchise owners. Rental Car University contains a multitude of training materials developed by Pat over the course of her career, and they are aimed at a variety of audiences from counter level staff, to management and owner level courses. Additionally, we have an open door policy at our corporate owned and operated locations. We are happy to provide on-site training in a real life environment to you or your employees at any time, free of charge. This training is conducted under the supervision of Penny Sottile, who is a part of our franchise support staff and the GM of a successful corporate location. © NP Auto Group, Inc.